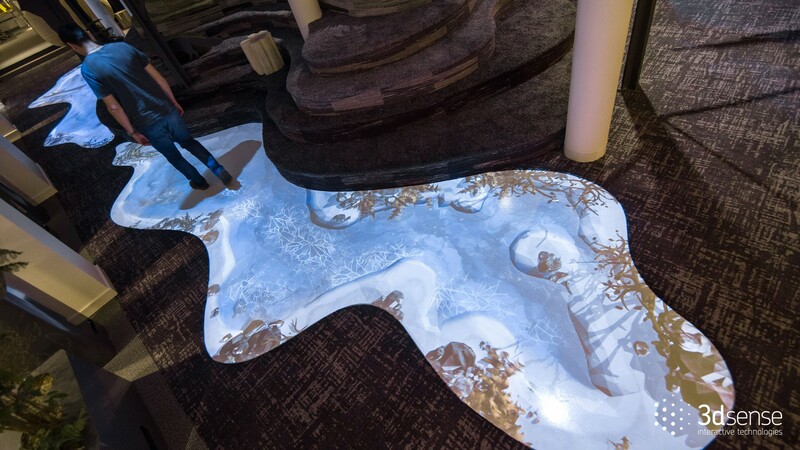 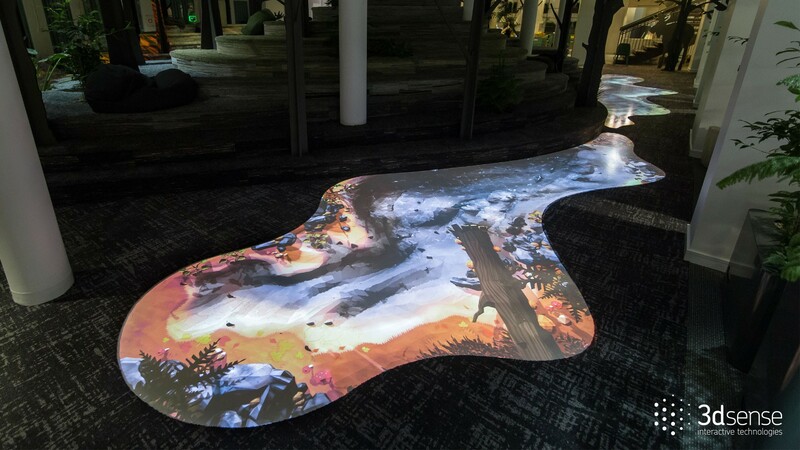 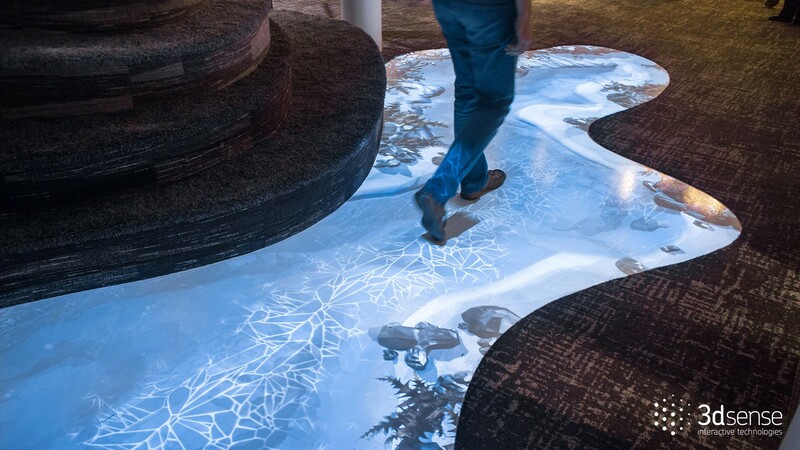 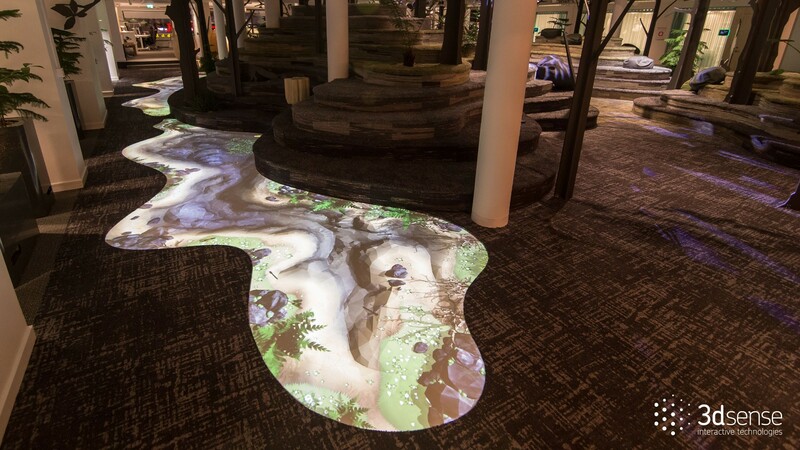 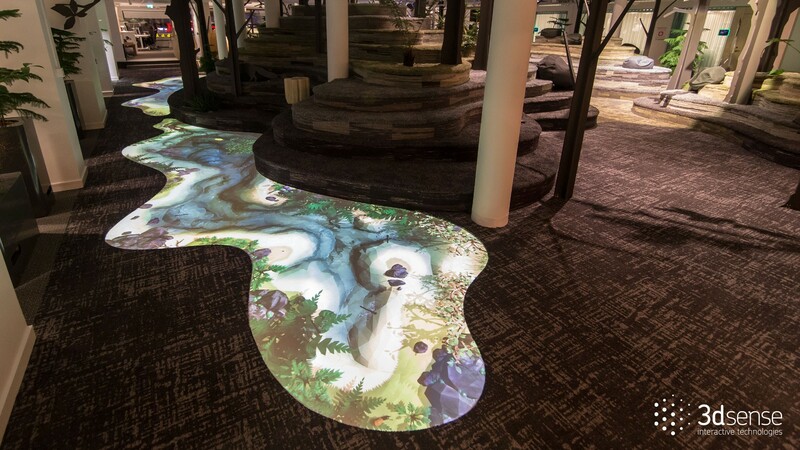 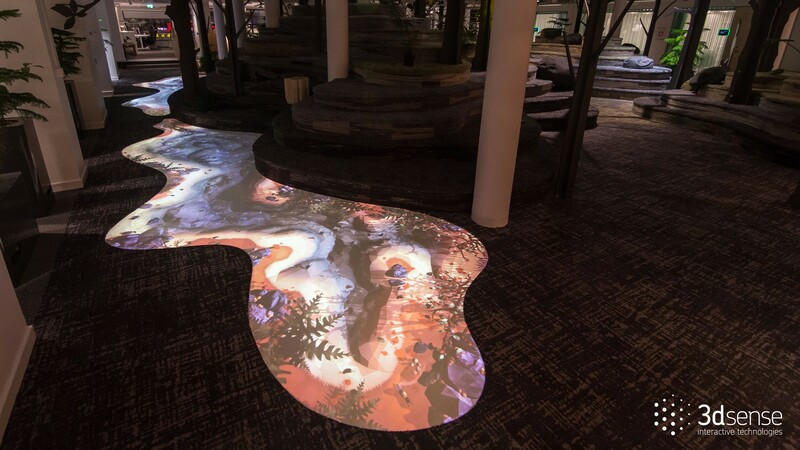 Large-scale (30 m2) forest stream themed interactive floor for the new office of King Ltd. in Stockholm. 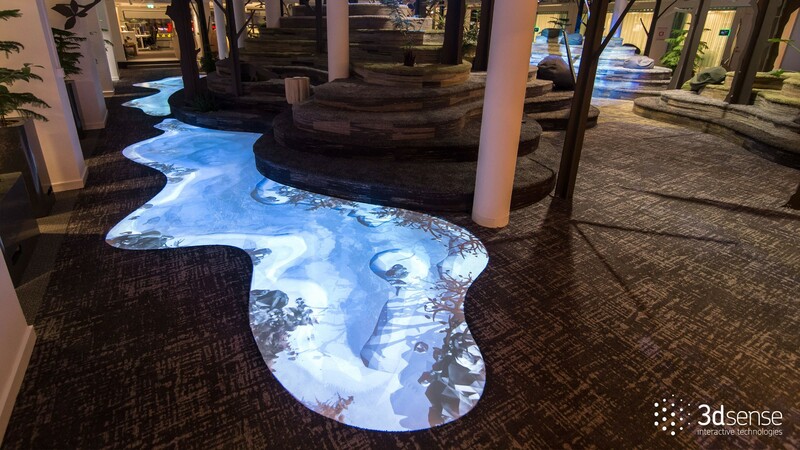 The whole office project was carried out by Adolfsson & Partners. Cooperation on the project with our partners - ÅF Lightning.